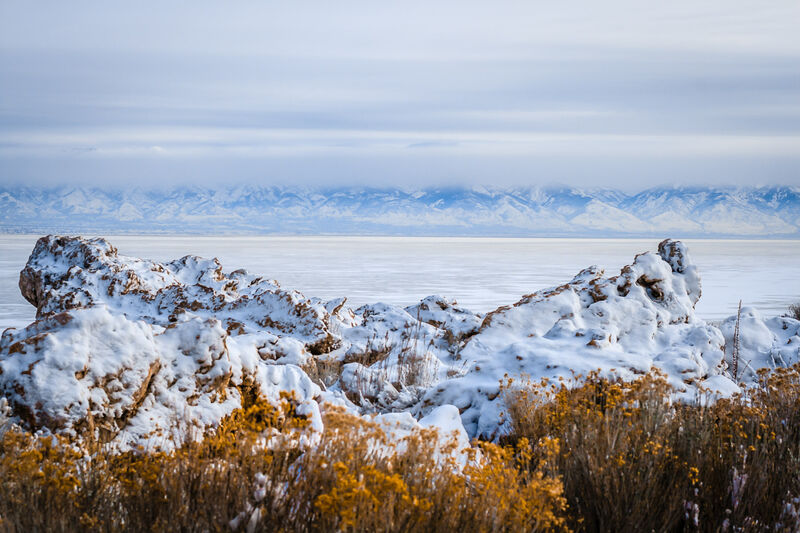 Distant winter mountains line the horizon as seen from the Great Salt Lake’s Antelope Island, Utah. 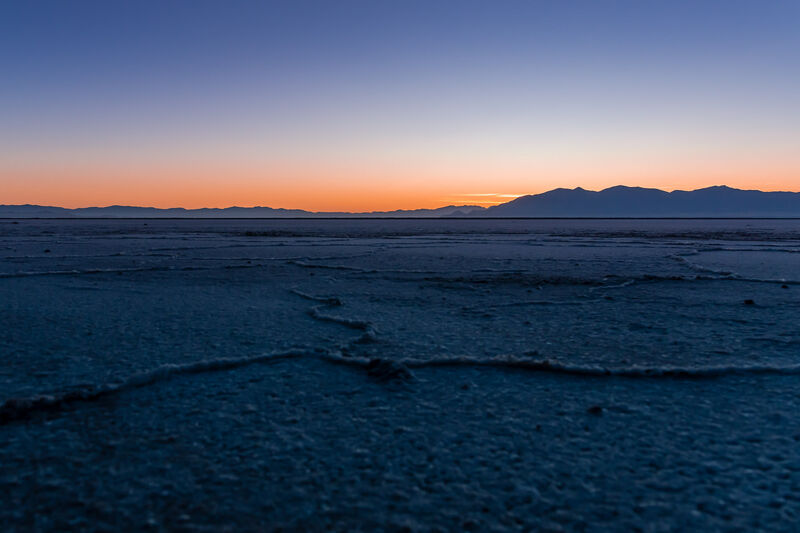 Salt flats along the shore of Utah’s Great Salt Lake near Stansbury Island stretch towards the rising sun. 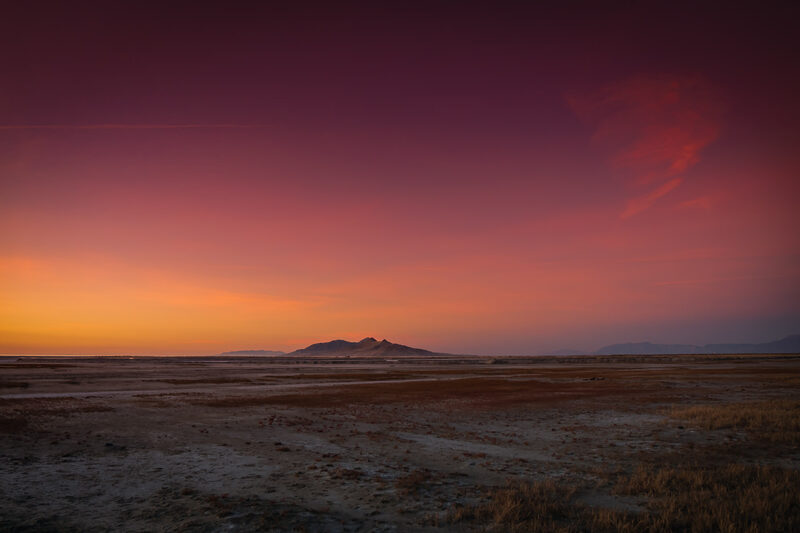 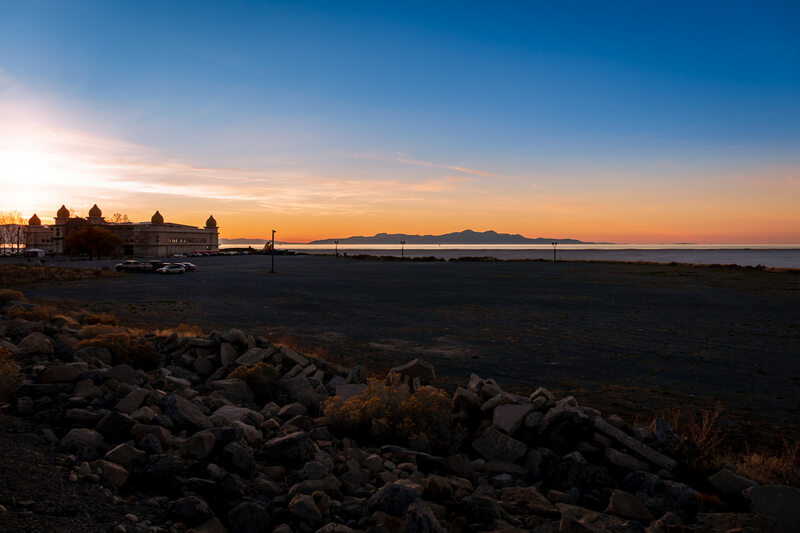 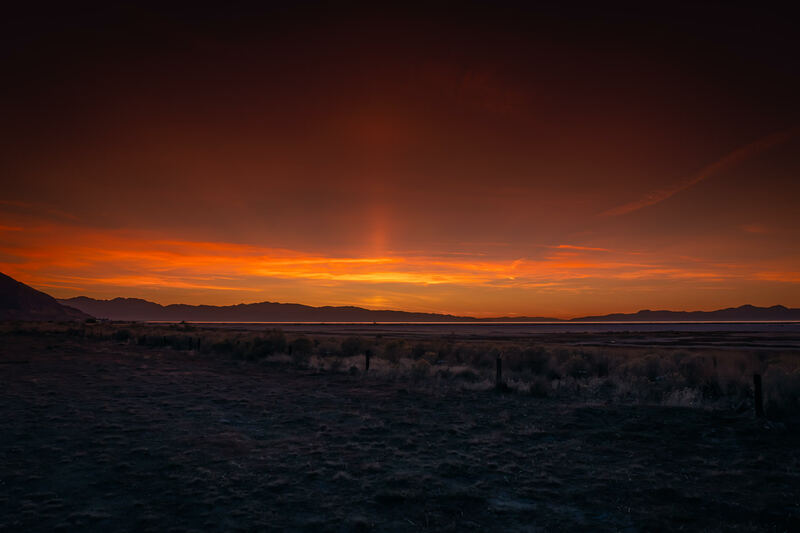 The sun begins to rise on Utah’s Stansbury Island along the shore of the Great Salt Lake. 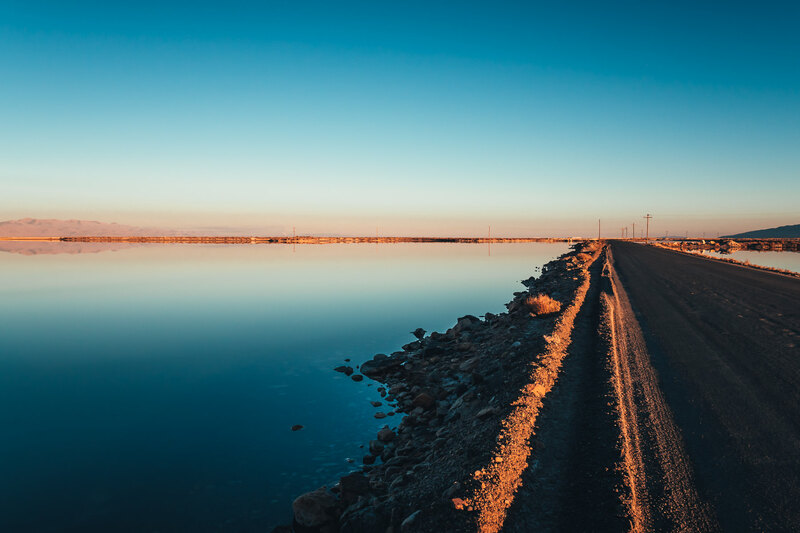 The first light of the morning sun reflects in the still waters of a roadside wash near the Great Salt Lake’s Stansbury Island, Utah. 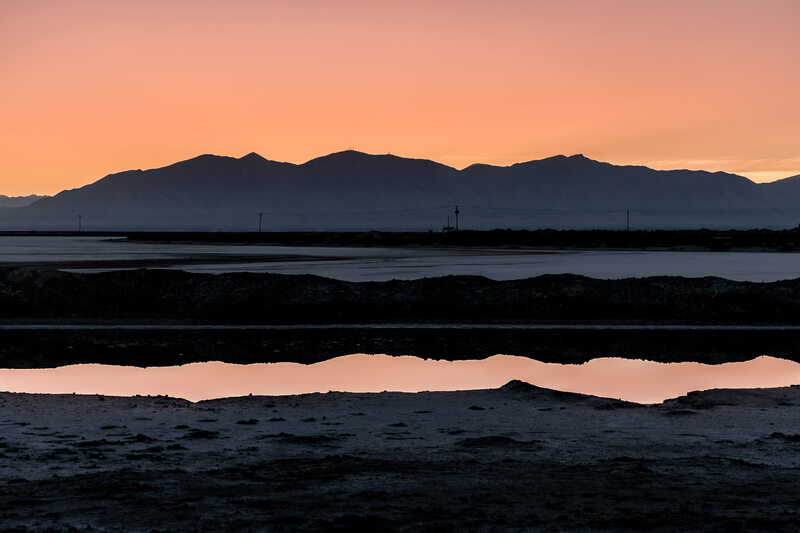 The last light of the day over the shore of Utah’s Great Salt Lake. 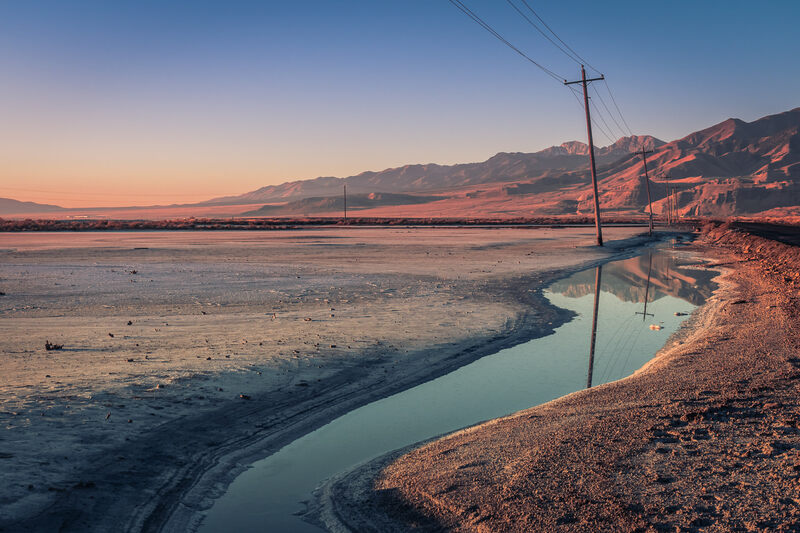 Power lines stretch along the road to Utah’s Stansbury Island along the shore of the Great Salt Lake.